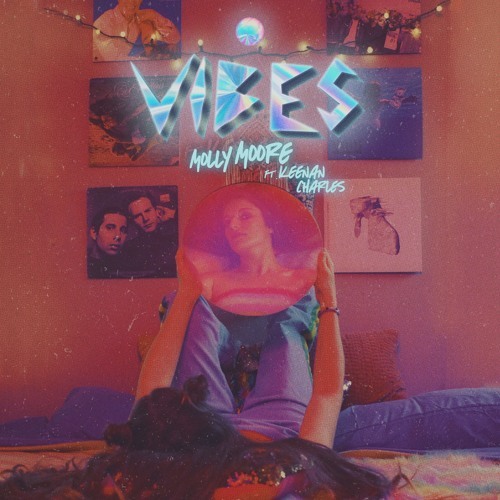 Los Angeles-based, New York native singer, songwriter and producer Molly Moore is back with an incredible new single titled Vibes. I am loving this one!!! That beat got me hooked from the start! Molly's smooth and sultry vocals are quite hypnotic and flow effortlessly over the chilled production. Loving that highly infectious chorus that got me singing along to it after the very first listen. Vibes is definitely one of those songs that stick to your head in no time. Oh, and Keenan Charles's rap is a great addition to the song, giving it quite a groovy boost of energy. Molly delivers a fantastic piece of r&b/soul-infused electro-pop music, with an overall chillout atmosphere. Check it out below! A lot of my life doesn’t feel real lately, and I find myself tripping over small things, affected by energy, easily overtaken by overwhelming emotions. It was especially surreal to reconnect with my high school prom date Keenan Charles to remotely collaborate on it. We haven’t seen each other in so many years! I've added Vibes to my Laidback Weekend playlist on Spotify which you can listen to below!